Aker BioMarine is a leading supplier of krill-derived products to consumer health and wellness and animal nutrition markets. We are committed to working with our customers to improve human, pet, and planetary health. The krill-derived product we deliver to the pet industry consist of a high-quality ingredient that enhances our partners’ products. Together, we are advancing krill-related science, documenting health benefits, and strengthening our customers by developing valuable pet food formulations. We want pets in homes all around the world to thrive as a result of consuming the healthy, much-needed nutrients provided by QRILL Pet. Our fully transparent value chain stretches from sustainable krill harvesting in pristine Antarctic waters through our Montevideo logistics hub, and all the way to customers around the world. We add value by being more than a regular B2B supplier. By working closely with our customers we help them develop and market desirable pet food products. Together, we advance krill science, optimize pet food formulations, and educate pet parents about the importance of choosing the best omega-3 source for pets. We have always sought to do what no other company has done. This drive is more important than ever as we gear up for exponential growth. 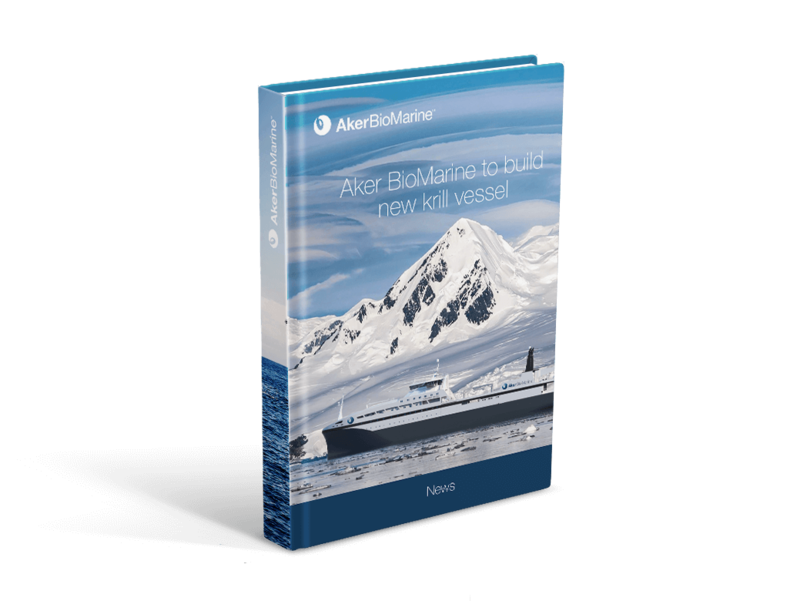 Aker BioMarine has been involved in more pre-clinical and clinical studies concerning Antarctic krill health benefits than any other company. Our strong in-house scientific team also provides effective documentation of the health and nutrition benefits of our products. Scientific projects across our product lines are always underway, and we collaborate with universities and partners to advance krill-related science. Our research and development team assists our customers in solving problems, generating new ideas, and providing scientific validation. We want our customers to succeed and grow as a result of our support, which includes lending our expertise and initiating collaboration projects. Our QRILL Pet marketing story begins in the cold, pristine waters of Antarctica and reaches out to shoppers selecting their preferred pet foods. We are more than a B2B ingredients supplier to pet food brands. We add value by collaborating with customers to further educate pet parents about nutrients vital to the health of their furry family members. Choosing the right omega-3 source should be a priority. All QRILL Pet marketing materials are developed with pet owners in mind. Through scientific documentation and targeted marketing support, we help pet food producers tell an inspiring story about how Antarctic krill ingredients promote the health and wellbeing of pets — worldwide. Aker BioMarine should be perceived as a partner who brings valuable insights, introduces new market opportunities, and guides its customers for growth and product expansion.